The 2016 Chevrolet Cruze will be unveiled on 24 June, 2015. GM claims that the new Chevrolet Cruze will be lighter, with safety features, new technologies and powertrains to offer. 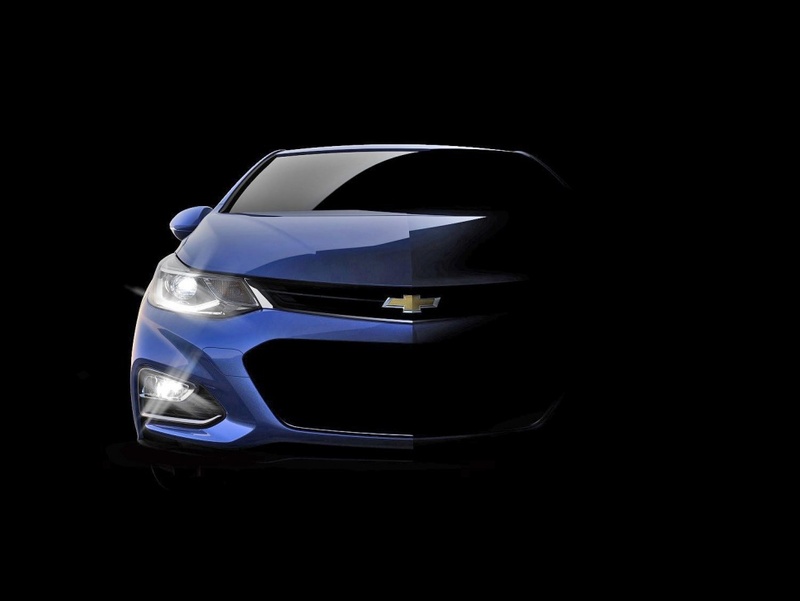 A dark teaser image by GM was published showing partial front of the 2016 Cruze. The teaser image keeps the overall design of the Chevrolet Cruze under wraps, according to the previously seen spy shots, the model is equipped with a more stylish design with narrower swept back headlights and tail lights, slightly sculpted hood, LED DRL and chrome grille. The 2016 Chevrolet Cruze for the North American market will be different from the chinese facelft that launched last year. The 2016 Cruze is based on the new D2xx platform shared with the new Volt that was showcased last year at the Detroit auto show. Thanks to the new platform the new 2016 Chevrolet Cruze is larger yet lighter than the ougoing model leading to better fuel efficiency and leg room. Chevrolet recently announced that the 2016 Cruze will be equipped with 7 inch touch screen with Android Auto and Apple CarPlay compatibility. The official technical details are still unknown and we are yet to see if GM carries over a similar line up that is offered in the chinese market in terms of the power trains to offer. The chinese model is available with a 1.5 litre petrol mill producing 112 PS power and a turbo charged 1.4 litre mill producing 148 PS of power. The 1.5 litre NA petrol motor is available with a 5 speed manual and 6 speed automatic transmission whereas the turbo charged 1.4 ptrol mill is available with a 6 speed manual and a 7 speed DCT. GM India has not revealed any information regarding the introduction of the 2016 Cruze in India.